The La Crosse Police Department recently partnered with the National Shooting Sports Foundation (NSSF) and the non-profit “Project ChildSafe” program to increase firearm awareness and safety. As indicated on the Project ChildSafe website, “the program promotes safe firearms handling and storage practices among all firearm owners” through safety messages, educational brochures, and the availability of Safety Kits. Due to this partnership, the La Crosse Police Department and Wiebke Fur & Trading Company now have Project ChildSafe Safety Kits available for the public. 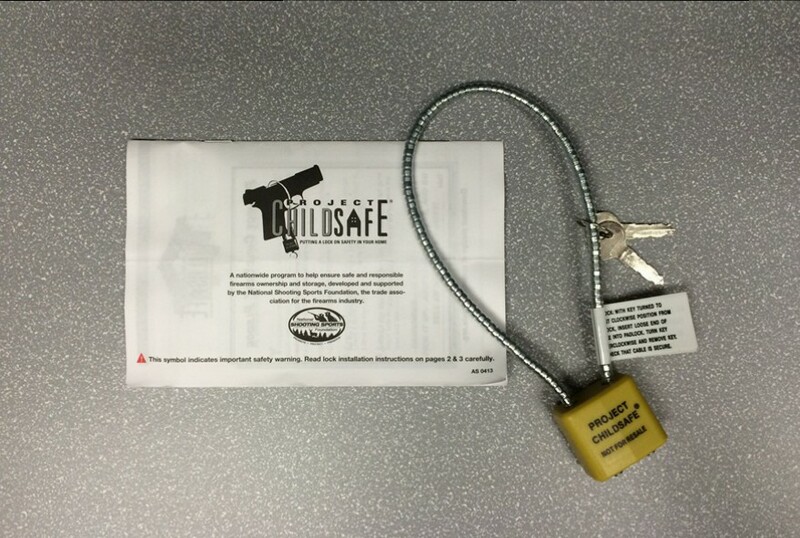 The kits include a cable-style gun lock and a safety brochure. To obtain a Project ChildSafe Safety Kit, free of charge, contact the La Crosse Police Department Professional Standards/Community Services Bureau at (608) 789-7240 or Wiebke Fur & Trading Company, 110 Rose Street in La Crosse, at (608) 784-4402.